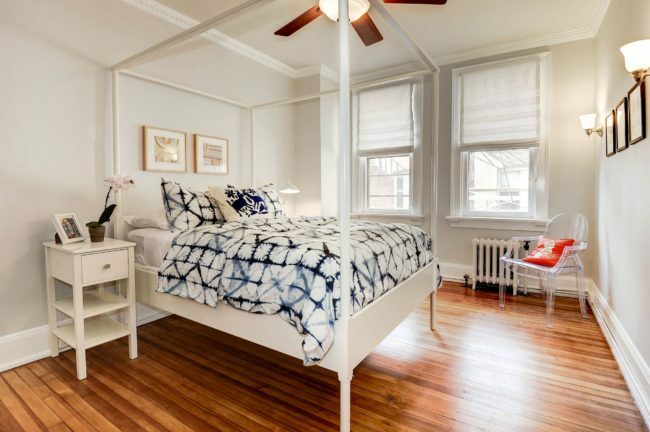 You’ll instantly fall in love with this sophisticated yet cozy co-op, in the HEART of Capitol Hill! 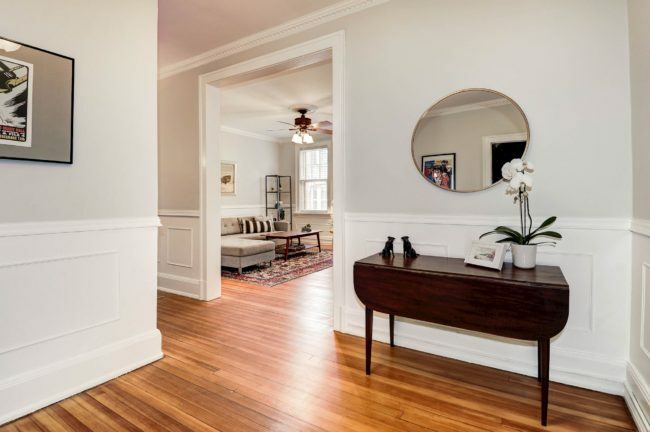 The home features all the historical details you’d expect like original pine floors, gorgeous trim, beautiful wall wainscot paneling, and a marble floor lobby. 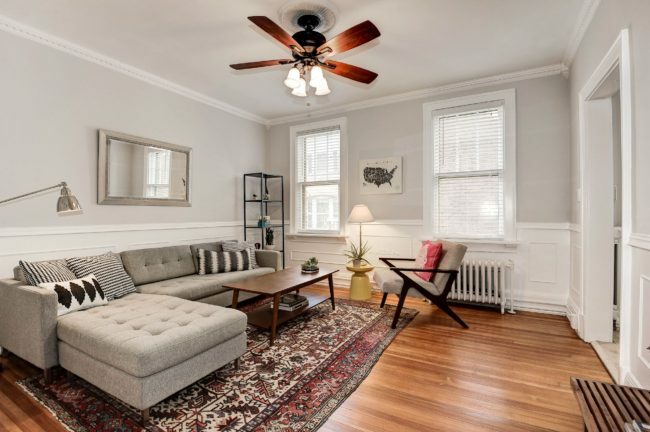 Nestled on a quiet street a block away from Stanton Park, just five blocks from the Capitol and an easy dash to H Street, 2 blocks from Eastern Market, and half a mile from Union Station is where you’ll find this cute-as-a-button co-op. 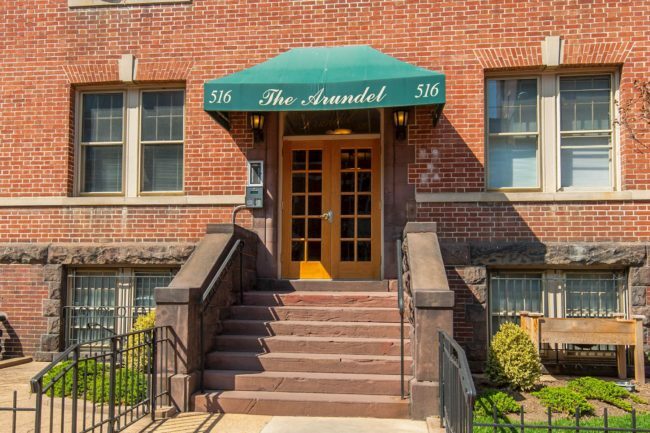 The Arundel Building is a pet-friendly cooperative building built in 1916 with 18 residences, meaning you’ll have the benefit of knowing each of your building neighbors! 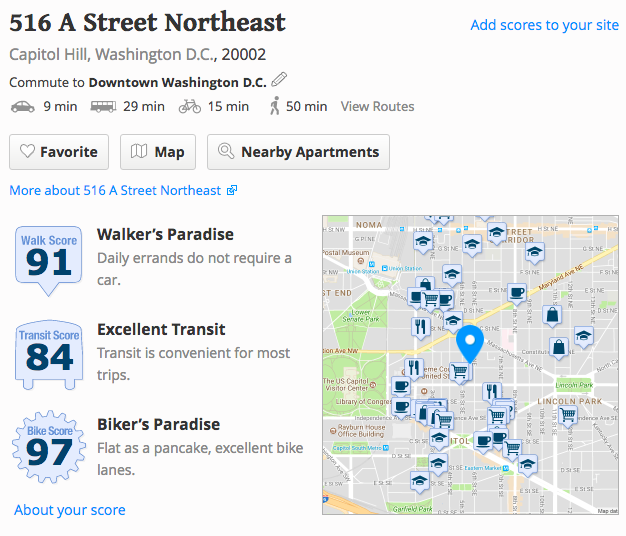 The building has no underlying mortgage and the co-op fees includes taxes and heat. There’s also storage units as well! 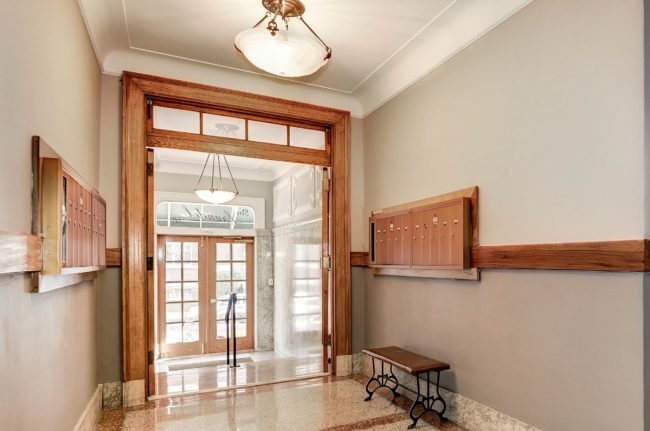 Want to know more about Co-ops and how they are different than a condo? Go here! 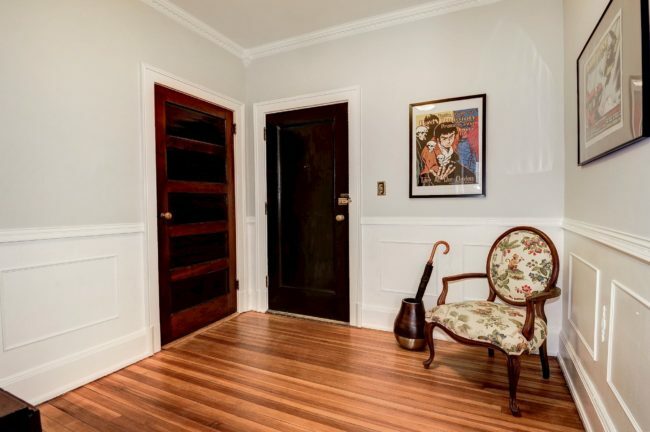 The over-sized foyer lends itself as an elegant entrance, and a large closet adjacent means you’ll have tons of storage space for coats and shoes. The original pine flooring continues through into the living room as well. 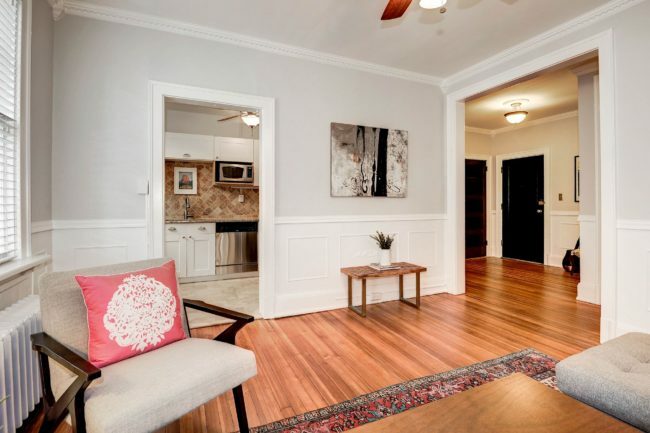 Spacious and inviting, it’s the perfect space to host movie nights or Sunday football games. 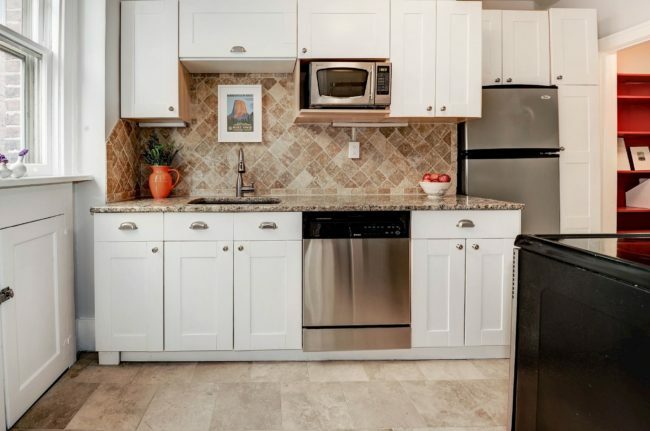 Plus, there’s easy access to the kitchen, perfect for entertaining! 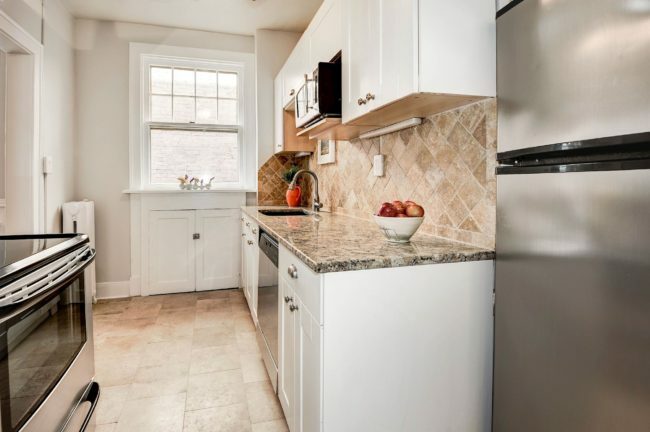 Speaking of, the galley kitchen is perfect for the chef and novice alike! 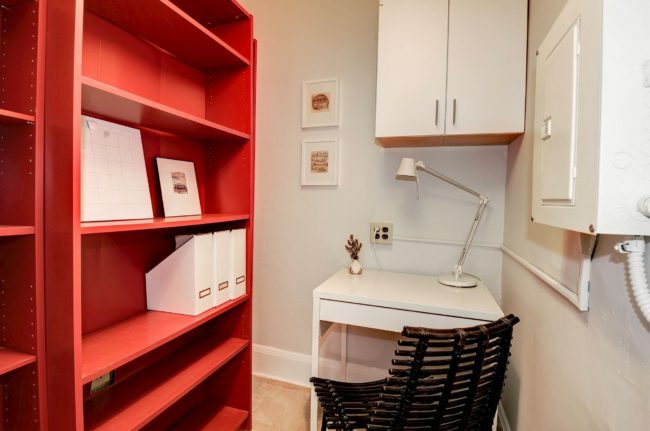 And look at the floor-to-ceiling storage! Shoe addict? No problem! 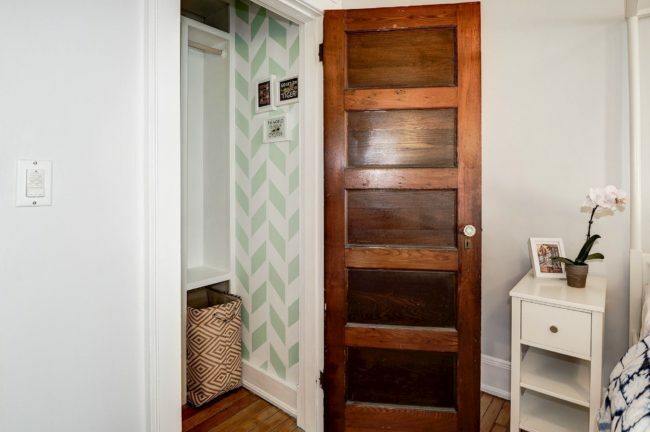 There’s a walk-in closet off the bedroom! 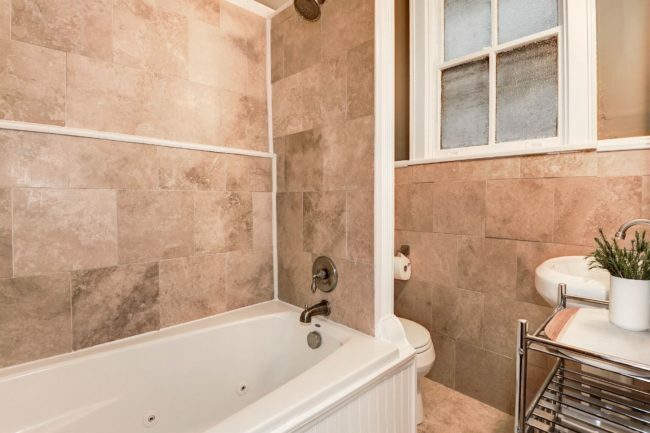 Take your cares away in this oversize Jacuzzi bathtub! 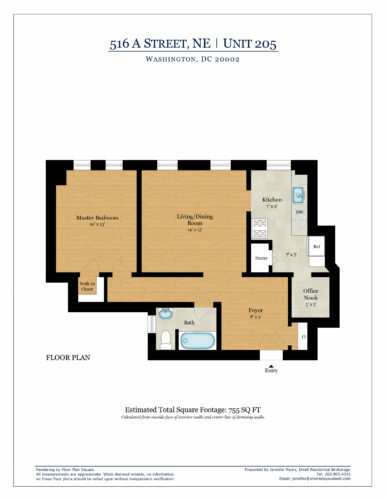 Click on the image above to see the full PDF floorplan! 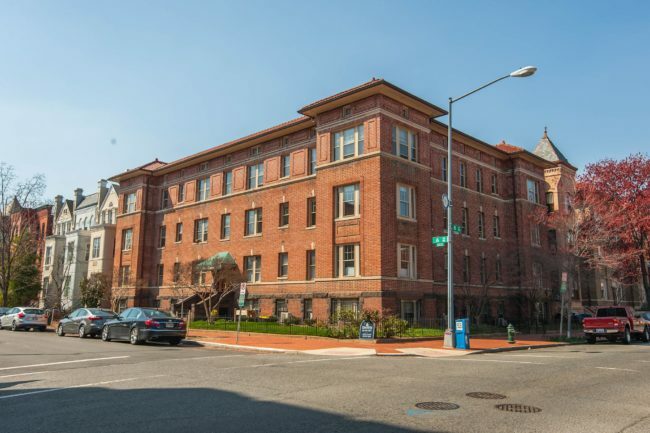 One of the greatest features of this home is its location – only a few blocks to Stanton Park, Eastern Market, Union Station, Barracks Row, and great grocery store options such as Trader Joes, Yes! Organic Market and Whole Foods. 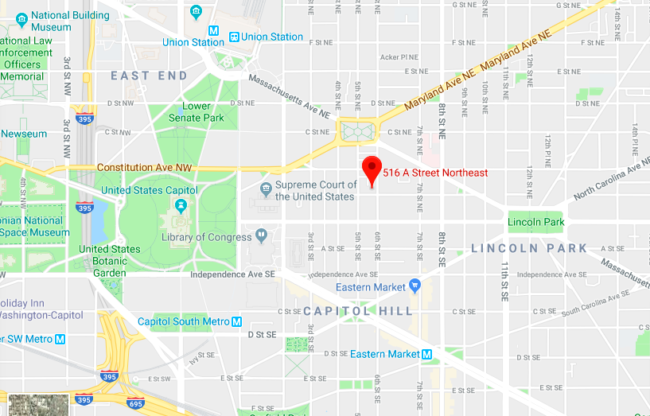 Its easy access to THREE metro stations (Union Station, Capitol South, and Eastern Market) make it easy to get anywhere in the city. 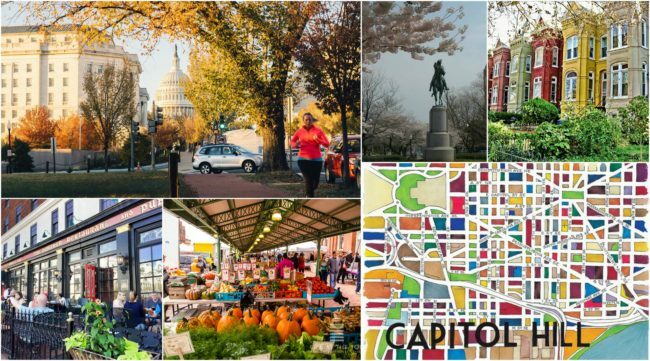 But you won’t even have to take the metro to get most of what you need – the neighborhood has it all!